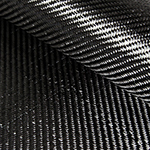 Fibre Glast Developments offers a wide selection of carbon fiber reinforcements, including fabric, sleeves, tow, and tape. We take great measure to ensure that all of the products we handle are First Quality, manufactured to the highest standards for maximized strength and perfect cosmetics. Carbon fiber can be found everywhere from auto racing to aerospace. Its unmatched strength for light weight, along with modern cosmetics, have made it a widespread favorite in today's composite industry. Scroll down for more general carbon fiber information. To learn more about specific products, click on a subcategory image below. 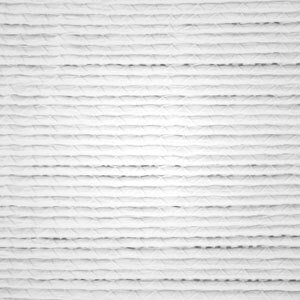 Ultralight, prepregs, classic twill, and more in stock for same day shipment. These carbon fabrics combine traditional weaves with high-performance strength and eye-catching cosmetics. 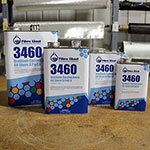 Choose from a selection of weights and thickness, each designed to suit a variety of project specifications, and use with epoxy to enhance strength factors. 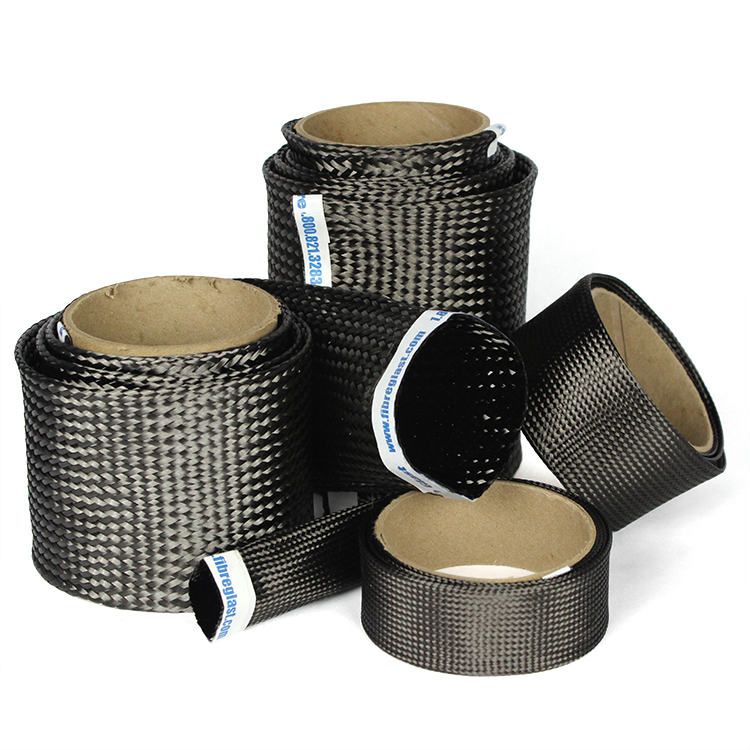 Carbon fiber tape, tow, and sleeve are perfect for reinforcing strength for small areas, and for use with wrapping applications and unique shapes like tubes. And, like all of our carbon fabrics, these carbon reinforcements are guaranteed First Quality for consistent performance every time you order. 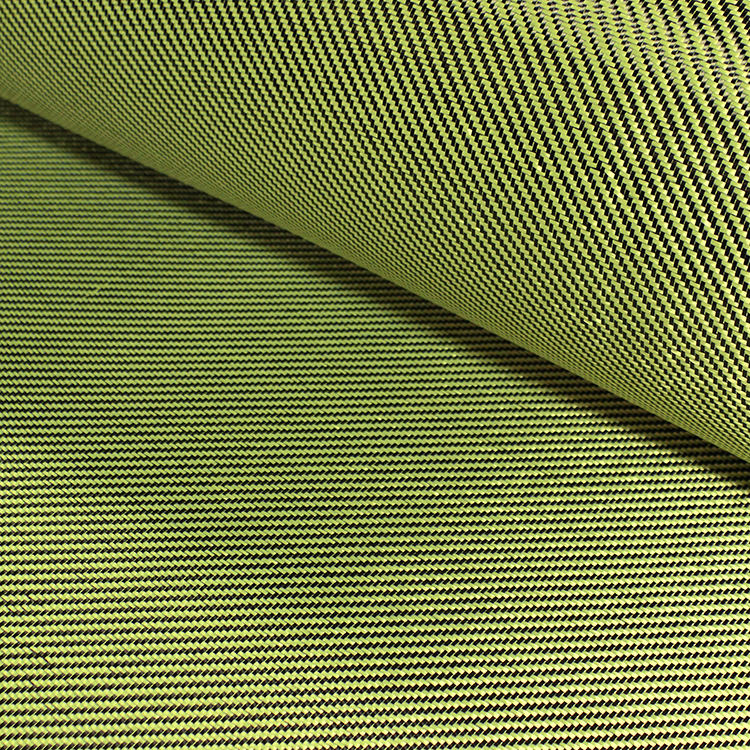 Carbon Kevlar® hybrid fabrics deliver high strength, low weight, and remarkable impact/abrasion-resistance, just right for surface layers. Use them alone or back with other reinforcement to maximize fabric properties. 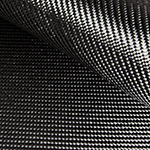 Popular twill weave comprised of 3K carbon in warp and 1500 Denier Kelvar in fill. Receive a Free $25 with any Sample Pack! Our Sample Packs provide you with a variety of fabrics so you can feel and see these materials in person before purchasing. Carbon fiber is renowned for its sleek, modern appearance. But carbon fiber is most often chosen for its performance. It boasts a combined strength- and stiffness-to-weight that is unmatched in the composites industry. In fact, when looking at strength to weight comparisons, carbon fiber outperforms most traditional building materials. Graphite fibers formulate this strength. These fibers are made up of nearly 95% carbon and yield the highest ultimate tensile strength in the FRP industry. Tensile strength is the force required to pull both ends of any length until it breaks. What's more, carbon fiber also dominates the industry for compressive strength—the capacity of a material to withstand loads that compress, or tend to reduce size—and flexural strength—the ability to resist deforming under load. These fibers are bundled and then combined in various ways to create carbon fiber reinforcement and parts that take on this strength property. Carbon fiber is designed be used with a resin system in order to create hard, laminate parts. To maximize strength properties for your carbon part, use an epoxy like the Fibre Glast System 2000. When combined, they will produce hard, reinforced parts—even complex shapes. They should not be used to produce flexible, or soft, materials. Do you want to learn more about carbon fiber or other composite materials? Fibre Glast has a free Learning Center with white papers, videos, charts, and photo galleries. You can learn more about carbon fiber with free white papers like: About Reinforcements, and About Prepregs. You can place your order here on our website or, if you have any questions, call 1.800.838.8984 | 8:00am - 7:00pm EST Mon-Fri.